This tool combines the popular T-handle valve wrench with a built in torque wrench no guessing if you have the lock tight. Makes the job of adjusting valves much easier. Works with all shaft rockers to give you 22 foot pounds of torque. 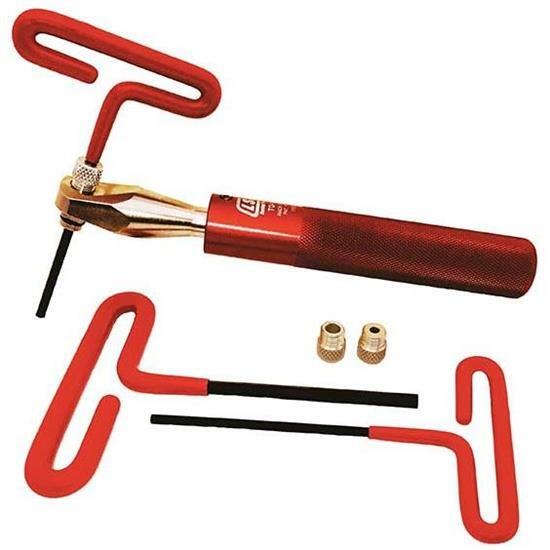 Accepts 3/8" socket and comes with 1/8", 5/32", and 3/16" T-handles. Redline 80312 Engine Assembly Lube, 4 Oz.